Associate Professor Viktor Husak demonstrates reactions on lipids. Founded in 1940 as a training institute for teachers, Vasyl Stefanyk Precarpathian National University (VSPNU) in western Ukraine is one of the top producers of scientific research in the country. 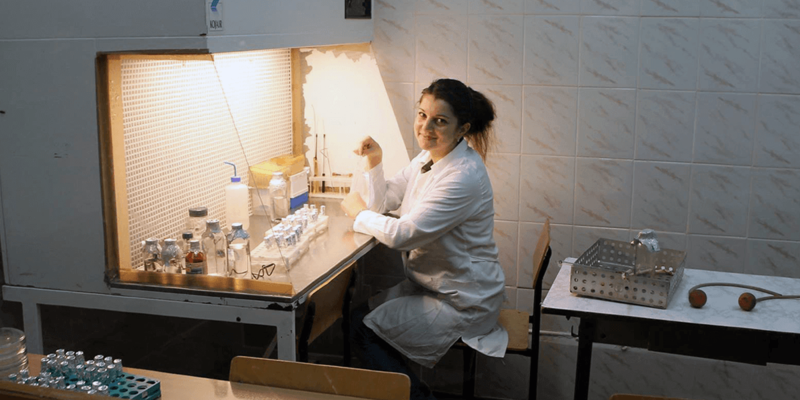 Created in 2002, the Department of Biochemistry and Biotechnology offers undergraduate and Master’s degrees in Biology with specialization in Biochemistry, as well as PhD programs in Biochemistry and Biotechnology. The department conducts research on aging, metabolic diseases like obesity and diabetes, and the ways living organisms react to toxins and stresses on a molecular level. 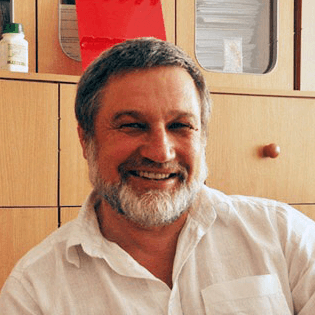 Dr. Volodymyr Lushchak has made it his personal mission to modernize biochemistry teaching in Ukraine. He created the Department of Biochemistry and Biotechnology at VSPNU from scratch in 2002–a feat that was quite unusual in a bureaucratic university system established during Soviet times. He’s since molded it into one of the best in the country. 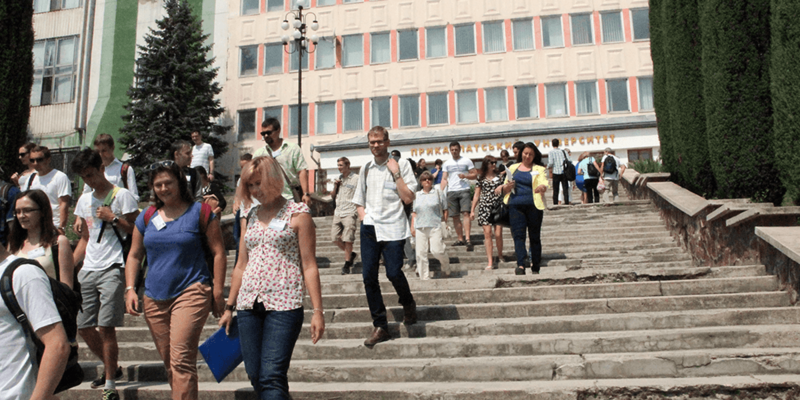 Dr. Luschak, professor and head of the department, believes that training Ukrainian scientists is key to meeting the many challenges facing the country. One of the biggest is widespread poverty due to a national economy that has been struggling since the global economic crisis of 2008 and was further damaged by war with Russia since 2014. Ukraine is also facing massive public health problems contributing to short life expectancy, dependence on imported fossil fuels, sub-optimal management of Ukraine’s rich farmlands and natural resources, and environmental pollution. The situation may seem overwhelming, but Dr. Lushchak believes that science–and biotechnology in particular–can contribute to solutions for many of these challenges. He’s committed his career to training a generation of problem-solvers equipped to use science to better their country and society at large while pushing his own research ahead during turbulent times. Having enjoyed a long and successful career since completing his PhD at Moscow State University in 1986, Dr. Lushchak is best known for the research of oxidative stress and issues related to aging, metabolic diseases like obesity and diabetes, and environmental pollution. With modernization recently underway across sectors, including agriculture, health care, and energy production, Dr. Lushchak sees ample opportunities to develop and introduce biotechnological approaches that will meet the needs of society and make life better. "Lack of contemporary equipment allows us to conduct mainly descriptive studies, and we can only suggest mechanisms of the studied phenomena. Our colleagues abroad have more freedom, being able to observe more events that occur in living organisms." Research is a required part of the Biochemistry and Biotechnology curriculum for all students, including undergraduates. Equipment is needed to support both student and faculty research, as well as practical teaching. "Український університет виграв лабораторне обладнання у США"